Editing – reaching your destination. Limo or Taxi? Editing is a journey from chaos to order. It defies the second rule of thermodynamics which says everything must turn to chaos. However, film making is a process whereby poo (abelit high quality poo -and in huge quantities) becomes haute cuisine in elegant portions. So how do we get there? Although we shoot a lot of material knowing most of it hits the cutting room floor, the EDITOR knows to view everything. Amongst the detritus and the offcuts are little gems, little nuggets of gold. As editors, we need to find them and treasure them, and park them in a safe place. It must be a trustworthy safe place for we’ve cut them from their origin and put them there. Once again, I’m trying to take an impossible amount of rushes and wrangle them into a reasonable selection for editing. Let’s assume that the main trip from rushes to edit is fine – any Non Linear Editor worth its salt can do that. But how do we manage the pre-edit? I’ve been using FInal Cut Pro X for the last year, and it’s been quick and utilitarian. However, 3 projects have gone south for the Winter because the database structure has become damaged. Yes, FCPX has procreated in a decidedly vertical direction leaving me, the editor, up the sewer without a paddle. Not once, not twice, but three times. All three projects shared the same characteristics: not just a single project, but each borrowing from several projects over different hard drives. Not through design, but as a consequence of client desires. I had been using the SparseImage trick espoused by many, to great success. However, when SparseImages from different volumes were combined, sublimity turned to slurry. I had chosen, so I could back up and archive quickly and securely, to import footage as links, rather than suffer the arduous process of copying gigabytes of footage to a single drive. Those links weren’t ‘aliases’ in the MacOS term, they were Unix ‘Symbolic Links’ which are uneditable unlesss individually, via a command line. If 497 links go bad, how long would it take you to fix them via a command line? Find me a Unix Guru who would agree to this in the 120 minutes between suffering the problem and showtime with the client. Yes, I re-edited the whole day’s edit in 2 hours, and FCPX was the only editor that could work as fast as we can. Well, it’s happened again. I’m now editing in Adobe Premiere CS6 and will stay here. 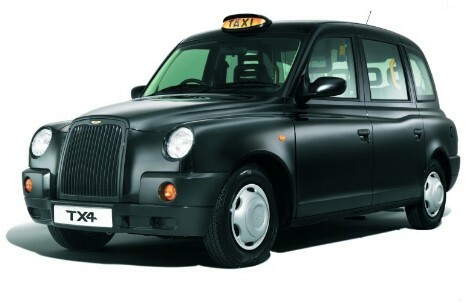 It feels like stepping out of a wonderful Mercedes Limo and getting into a TX1 London Cab. Basic, utilitarian, egalitarian. It sure as hell ain’t as quick as FCPX, doesn’t have the amazing third party support, but it just rattles on. I don’t want to love it, but hey – it does things like subtitles, it knows about timecode, it respects links to external media, it has a save-vault that can save the editor from his own bad decisions, and whilst it can crash, it neither delete stuff nor forgets so much so you can help it recover. I miss the air conditioned, hydro-suspensioned, gin-filled palace on four wheels that is FCPX, and I think I’ll still use it for simple little runabouts. It’s fun. It’s great. It’s actually really effective. But next time I’m hired for the long haul, I’m cutting in CS6. A limo can cross town, a TX1 will cross continents. PostScript: The main issues were finally tracked down to something at the system level, requiring a full Clean Install. There are some hateful things about FCPX, but bear in mind the parable of the Old Woman who lived in a Vinegar Bottle.